Solarix is an "old-school sci-fi horror game," according to its Steam page, in which an electrical engineer named Walter must fight to escape a space station whose crew has been wiped out by a mysterious infection. It's not necessarily the most original setting ever, but you don't have to reinvent the wheel to come up with a good game. And Solarix looks like it might be really good. 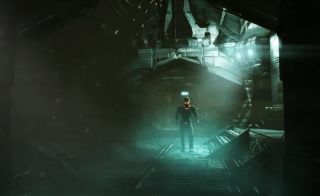 Solarix will unfold over 12 chapters, with puzzles requiring "exploration and information gathering in classic adventure style." Levels are designed to be "open-ended" to allow for both stealth and combat, but while it'll be possible to throw down with enemies when there's no other option, it's clear that players will spend a lot of time sneaking around. "The gameplay is based around light and sound—stealth and cunning is key to Walter’s survival," the launch trailer description states. "Ammunition is very limited so use it wisely and not always against the enemy!" What really sells it for me is the promise of more than just monster-closet startles. "Our goal is to go beyond jumpscares and cheap thrills," developer Pulsetense Games wrote. "Solarix is about a world that overpowers you with unease, insecurity, and desperation, forcing you to confront your own role in the horrors to come." That's easy to say, but the launch trailer makes it seem achievable. Nothing happens, and without context, the conversation makes no sense. It's not even all that creepy, really, but it hints at creepiness in the offing. And as we should know by now, sometimes thinking about what might happen is far worse than what actually does happen. Solarix launches on Steam on April 30, for $20/£15/€20. Find out more at SolarixGame.com.